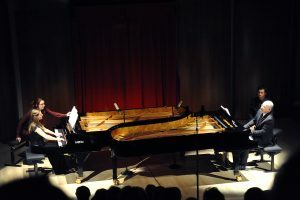 Skuta Piano Duo in the Fazioli Concert Hall – with Video! On our concert in Bratislava ( Mai, 2018) we have had a surprise guest: Maestro Paolo Fazioli! On 28th May 2018 we recorded J.S. Bach’s “Piano Concerto C major”, D. Shostakovich’s “Concertino” and I. Stravinsky’s “Le Sacre du Printemps” in the “Moyzes Hall” – Bratislava. iTunes – TOP 200 !!! “Thank you for everybody who likes my recording!! 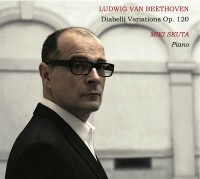 Die Klavierkonzerte & The Future Symphony Orchestra Miki Skuta´s neuestes, einzigartiges Projekt ! Miki Skuta recorded in 2012 Beethoven’s Diabelli Variations.